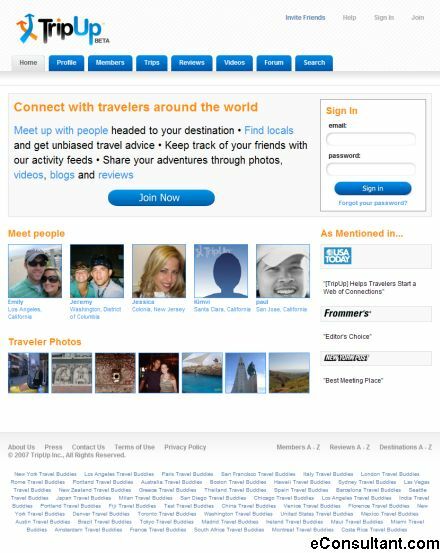 Description : TripUp is an interactive travel community that connects people from all over the world through a social network with a travel twist. Whether you are interested in meeting locals or fellow travelers during a trip or finding a ‘trip buddy’ so you don’t have to travel alone, TripUp gets you connected before you depart. Plus, as a TripUp member you can create Trip Flicks, Trip Blogs and Trip Albums to share your travel videos, journals and photos.